model described below. This strategy will be live starting March 4th, 2017- July 3rd, 2017 until the next distribution set for July 4th, 2017. 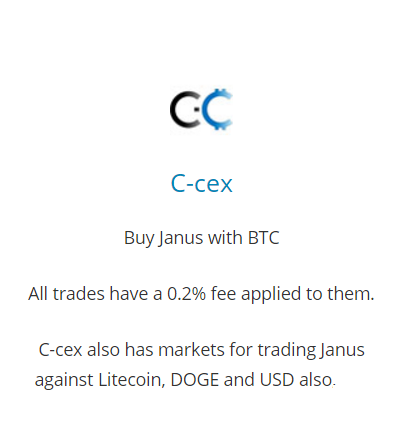 1.5 million Janus on the NXT asset exchange, 500k on C-cex.com exchange to give a BTC/JNS option for purchase. Large Janus purchase options will now be available at slightly reduced prices. (JanusXT). 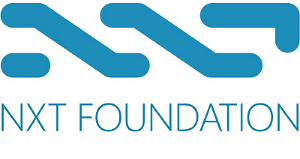 The rate per token is set as follows: 2.25 NXT per JNS a 25% savings from market price. BTC or Ardor payment options also accepted, contact us for current market price. allotments of 1 million Janus each at a rate of 2.75 NXT per Janus or a savings of 8.33% off the market offer price. For the large buy-in options there are a total of 6 million Janus tokens being offered in bulk purchase: 2/2 million and 2/1 million options. Contact our team via slack or email bjorn@janustoken.com to complete the transaction. If any unsold tokens exist they will return to the Janus distribution account to be used for future quarterly disbursement. The Janus team will reduce total supply of Janus through a currency burn of 2.5 million tokens. If anyone has any questions, do not hesitate to ask. Each quarterly distribution will change in order to promote the health of our project, businesses, and market. Economics will be handled by long term members of the Janus community, JanusXT holders, and our team. 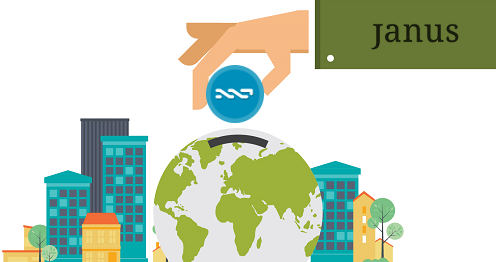 The dividend for March 1st NXT profits is 0.029 NXT per Janus token owned. A total of 364726.25756003 NXT will be distributed among 299 accounts which own a total of 12,576,767.50207 shares. 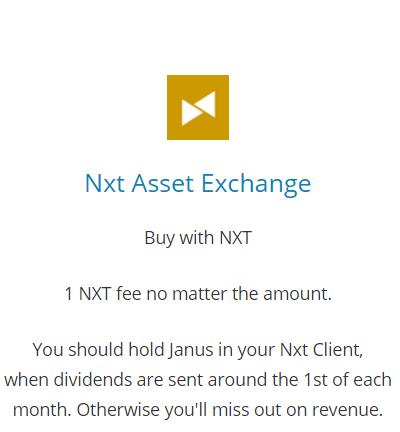 NOTE: If you are using Nxt client just click Account ledger, and you will get all transactions , including "Dividend Payment". 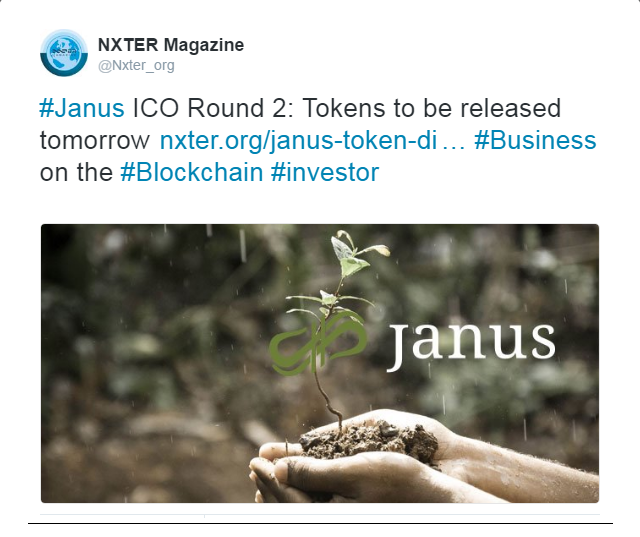 Thanks to NXTer magazine for this awesome collection of all current things regarding Janus. For the community, if people ask or you want to tell others about our token send them this link. 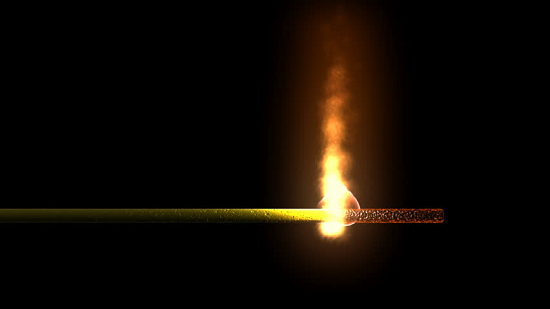 This token burn is in accordance with our plan to reduce supply and increase both dividends for JNS token holders and encourage long term investing. Just a quick update, we are currently ahead of schedule on the development for our social trading (fintech) business. Right now our team is coordinating with front end designers, while continuing work on back end code to bring the site to life. We are hoping for beta to launch in the next 60 days, then full launch if all goes well sometime in June. Thank you for your patience during this time of development and work, this transition to mainstream business will mark the first of many milestones within the Janus project. 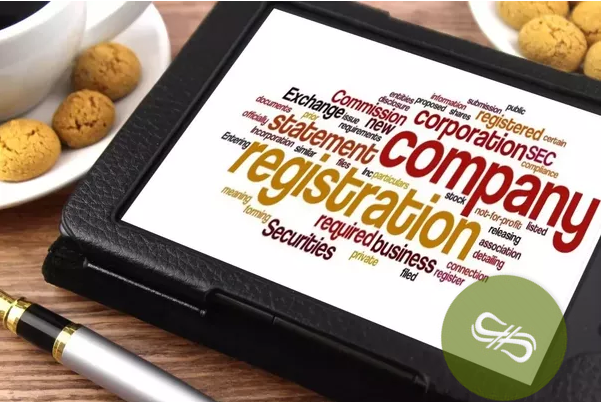 Our team has also settled on a holding company name and when that is made official we will release the details. 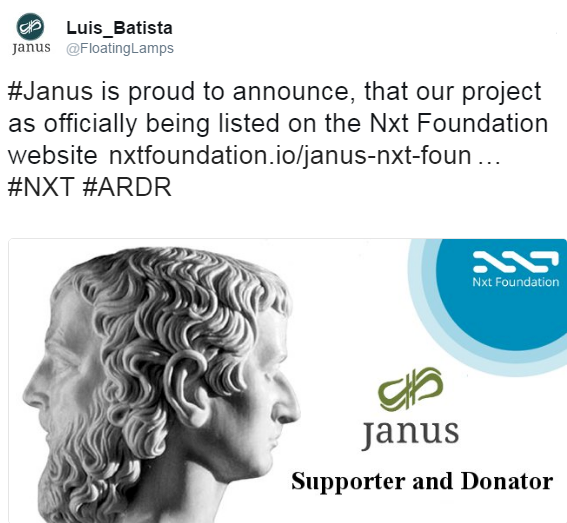 I'm happy to announce that even before this announcement, we already have our first supporter with Janus donating an effective amount of EUR 2500 in Janus tokens as well as a very generous donation of working time by their developer Lobos to provide much-needed support and maintenance for MyNxt.info. 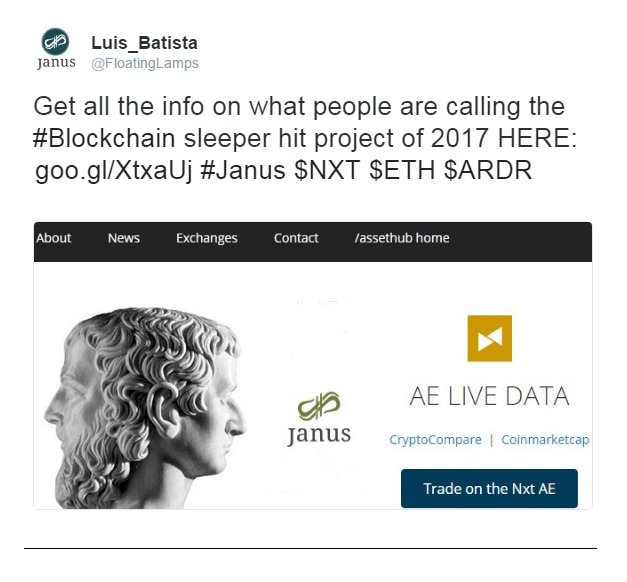 Janus has been a very valuable addition to the community since they joined late last year and we look forward to seeing what they will do with Nxt and Ardor technology. Quick update, due to a business trip on month end our team will be sending April NXT dividends on March 28th versus April 1st. We had the option to send profit sharing this month either 5 days late or a few days early. I made the choice to go early so investors and traders could capitalize on the bull trend of NXT right now. 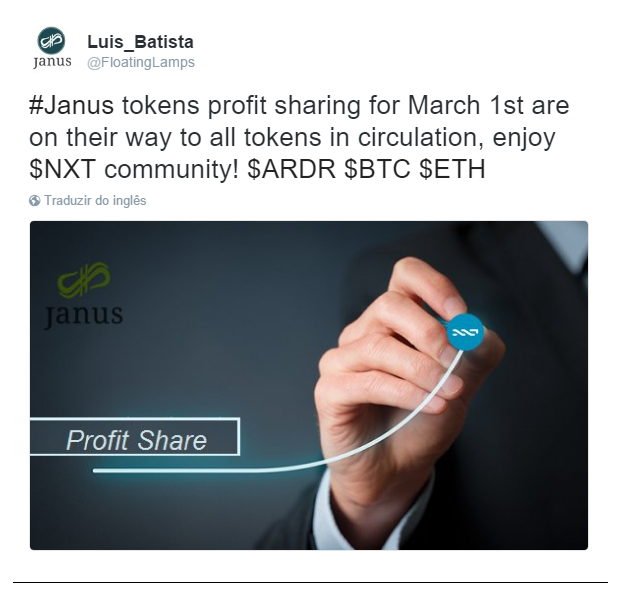 Thanks for understanding, make sure you have your Janus tokens in your wallets by March 28th. Then resume any trading as normal after receiving your profit sharing this month. Please spread this info to other JNS users so they don't miss out on free passive income. This is our teams way of sharing business income with everyone. Our fourth profit share will resume on May 1st as usual. There is still over 7 million Janus left in this distribution to help fund developers, marketing, and company formation. To avoid a lack of funds we are already looking into more options. A total of 294252.92831902 NXT will be distributed among 309 accounts which own a total of 13,375,133.10541 shares. 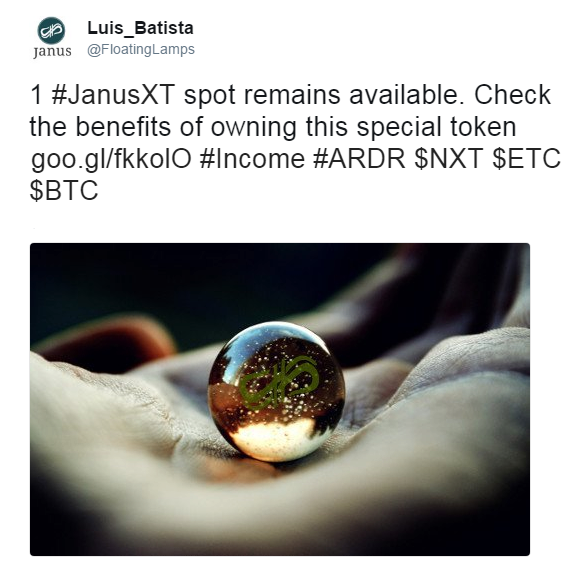 0.022 NXT per Janus owned. Nice infographic, thanks for this nice summary. We will be moving 800,000 Janus tokens of this quarterly distribution from the asset exchange to C-Cex to allow those holding NXT for Ignis conversion more options for larger buys via BTC set at 0.00003 sats. 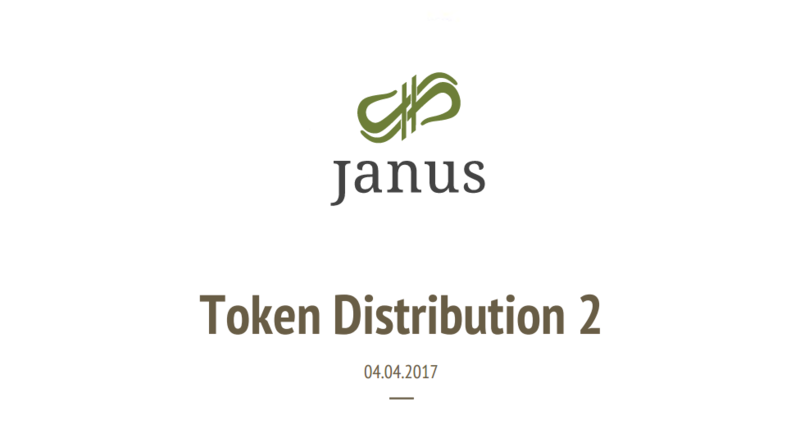 This will be the last token distribution we do, afterwards expect the total supply of Janus to decrease from 97 million to 37 million early July. This notice gives all traders time to plan accordingly in the business sites we are delivering. Currently less than 14 million Janus are in circulation.